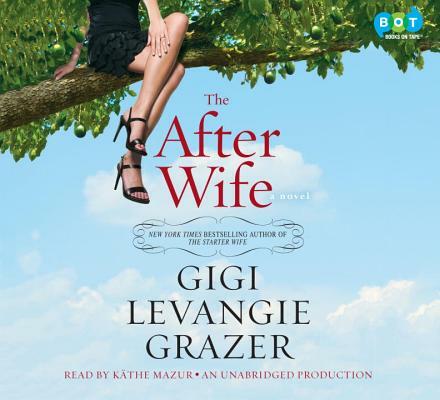 Gigi Levangie Grazer, the "New York Times" bestselling author of "The Starter Wife, "returns with a hilarious and "spirited" tale of love--both lost and found. L.A. is no place for widows. This is what forty-four-year-old Hannah Bernal quickly discovers after the tragic death of her handsome and loving husband, John. Misery and red-rimmed eyes are little tolerated in the land of the beautiful. But life stumbles on: Hannah's sweet three-year-old daughter, Ellie, needs to be dropped off at her overpriced preschool, while Hannah herself must get back to work in order to pay the bills on "Casa Sugar," the charming Spanish-styled bungalow they call home. Fortunately, Hannah has her "Grief Team" for emotional support: earth mother and fanatical animal lover Chloe, who finds a potential blog post in every moment; aspiring actress Aimee, who has her cosmetic surgeon on speed dial; and Jay, Hannah's TV producing partner, who has a penchant for Mr. Wrong. But after a series of mishaps and bizarre occurrences, one of which finds Hannah in a posh Santa Monica jail cell, her friends start to fear for her sanity. To make matters worse, John left their financial affairs in a disastrous state. And when Hannah is dramatically fired from her latest producing gig, she finds herself in danger of losing her house, her daughter, and her mind. One night, standing in her backyard under a majestic avocado tree, in the throes of grief, Hannah breaks down and asks, "Why?" The answer that comes back--"Why not?" --begins an astounding journey of discovery and transformation that leads Hannah to her own truly extraordinary life after death. Praise for "The After Wife"
"Fans of Lolly Winston, Mary Kay Andrews, and Jennifer Weiner will especially enjoy Grazer's newest." --"Booklist"
"Hilariously funny and profoundly wise, "The After Wife" is for anyone who's ever been married or widowed, in debt or in love. I could not put it down: a fabulous read "--Nancy Thayer, author of" Island Girls"
"A charming tale of a grieving forty-ish widow--and the wacky friends who love her."" --Los Angeles Times"
"A book that is part Jacqueline Susann, part "Real Housewives" . . . Gigi Levangie Grazer is a] Jimmy Choo'ed-out satirist."" --National Post"
"Fans of "The Starter Wife" will be equally charmed with "The After Wife."" --"Library Journal"
"Grazer's entertaining satire is sure to spice up any occasion."" --Publishers Weekly"
Gigi Levangie Grazer is the bestselling author of four previous novels, including "The Starter Wife, " first a miniseries and then a series on the USA Network, and "Maneater, " now a Lifetime miniseries. Her most recent book, "Queen Takes King," is currently under option at Lifetime. Grazer has also written the screenplay for" Stepmom," starring Julia Roberts and Susan Sarandon, and articles for "Vogue, Harper's Bazaar," and "Glamour." She lives in Los Angeles with her two children and one miniature dachshund.